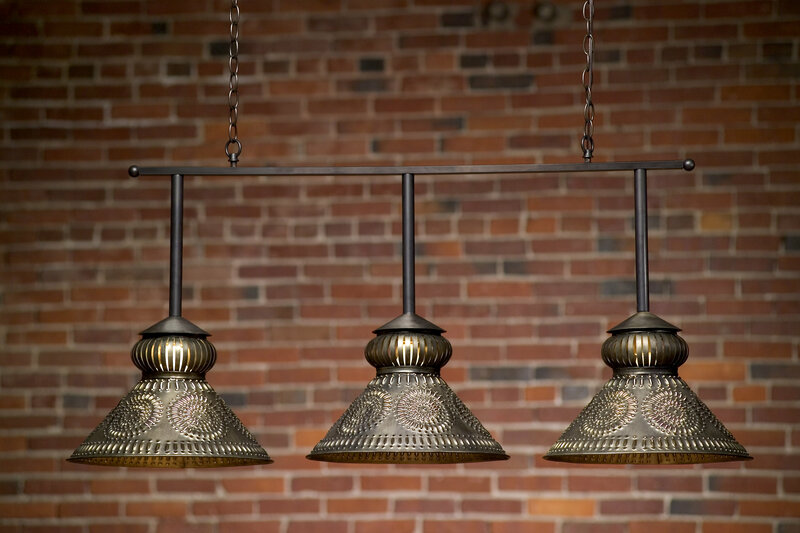 Hammerworks offers this pierced design Handcrafted Custom Pool Table Light. A great pool table area requires thoughtful planning. Thus we offer our innovative Colonial Design Pool Table Lights as a way to improve visibility while adding a bit of atmosphere. Since we make each light completely customized, you have several options to choose from. This allows you to create the right fixture for your billiards room. 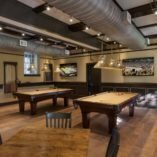 In the examples shown here, we use 3 of our SH-101 punched shades grouped together on a 6 foot bar to create this unique Custom Pool Table Lighting. 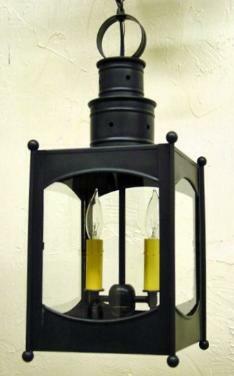 We offer this fixture in your choice of antique brass or tin. 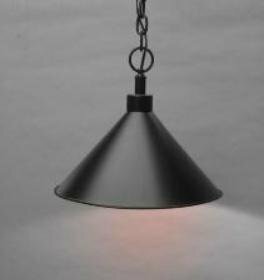 In addition we can use either the large or small SH 101 or the SH 102 shade to create your fixture. Furthermore we equip each shade for a medium base 100 watt bulb allowing for plenty of illumination. 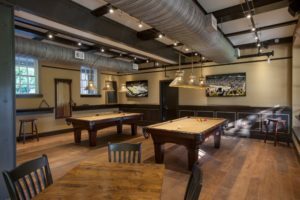 Of course if you prefer, you can eliminate the bar and simply group the shades over your pool table in the configuration of your choice. Most noteworthy as with all of Hammerworks lighting, we apply the pierced design completely by hand.